Every legal business has a name, but how it’s chosen and correctly filed in California can be tricky business. Normally, a Corporate Lawyer in San Diego, like myself, would guide a business owner through the process to ensure it’s done correctly. All DBA names are fictitious in that they are different from your personal name, the names of your partners or the officially registered name of your LLC or corporation. When a person forms a business, the legal name of the business defaults to the name of the person who owns the business, UNLESS that person chooses to rename it and register it as a DBA name. For example: Joe Smith wants to open up a San Diego neighborhood mini-market. Rather than operate under his own name, Joe chooses to name his market: Joe’s Neighborhood Convenience Store. This is an assumed name and Joe will need to register it with the state of California. If you want to start a business under anything other than your real name, you’ll need to register a DBA. If your business is already setup and you want to do business under a name other than your existing corporation or LLC, you will also need to register a DBA. Before filing your DBA name, you must first find out that the name is available and is NOT already registered. You can do this by searching the “Index of Fictitious Business Names” located at the San Diego Recorder/County Clerk’s office or online to ensure the name you intend to file IS NOT already registered. Once you find that the name is available, complete and submit the filing form to the clerk’s office. The fee to register a Fictitious Business Name $42.00. When to Register a DBA in San Diego County? 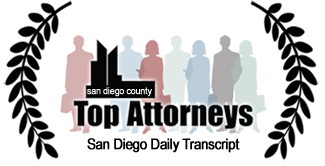 Need help filing a DBA in San Diego County? 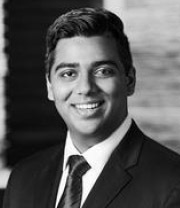 Hire an experienced business lawyer in San Diego, like Steven Elia, for consultation and assistance.